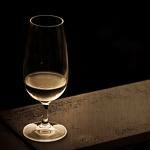 They say that confession is good for the soul, so here goes: Although I have been a lover of Sherry for many years, I have been guilty of seriously under-estimating how wonderful it can be as a partner for different foods. I should have known better, since I am--thanks to my father--a rare case of an American who grew up drinking Sherry. George, my father, enjoyed dry Fino Sherry as an aperitif (among many other drinks; he was and remains an adventuresome sort), and he was always happy to let my sisters and me take a sip of whatever he had opened or whipped up. I was taken with Fino right from my first encounter as a kid (which seems a bit surprising in retrospect, since Fino is as far removed as it could possibly be from the sweet drinks that are the staples of American childhoods). I would often request a glass of Fino when my single weekly opportunity for a taste of something alcoholic would roll around after church on Sundays. The amazing fact that these requests were granted on Sundays in Wheaton, Illinois (a dry town and a bastion of Protestant fundamentalism) indicates that I was a Child of Privilege--at least in this one respect. Although my background should have prepared me for an adulthood of comprehensive Sherry appreciation, I confess that I needed a recent Conversion Experience to jolt me into awareness of what a terrific partner Sherry can be for foods--and an impressively wide range of foods at that. This epiphany came to me during the course of a wonderful opportunity earlier this year. I served as a member of the five-member panel of judges for the 3rd annual Copa Jerez, an international event pitting seven teams of chefs and sommeliers in competition to achieve the best matches between three courses and different types of Sherry. This remarkable event, staged in Jerez de Frontera in Spain in January, was actually just the culmination of an elaborate, two year-long process of national semi-final competitions conducted in Belgium, Denmark, Germany, the Netherlands, Spain, the United Kingdom, and the United States. In January the winning teams from each country prepared and presented three pairings at the Jerez Hotel and Restaurant School: A dish paired with a dry sherry under flor, either a Fino or Manzanilla; a second dish with a Sherry that was likewise dry but also the product of oxidative ageing (either Amontillado, Oloroso or Palo Cortado), and finally a dish paired with a semi-sweet or sweet Sherry (either a Medium, Cream, Pale Cream, Sweet Oloroso, Pedro Ximénez or Moscatel). The results were as remarkable for the sheer diversity of successful pairings as for the excellence of the very best ones. For the first course, working with Fino or Manzanilla, all seven of the national teams chose to pair the wines with a seafood dish, but the range of accompanying ingredients was astounding. These included smoked peppers, horseradish, caviar, marinated miso, pork jowl, soy vinaigrette, pata negra ham, black pudding, and Chanterelle mushrooms. Thanks to skillful selection by the sommeliers but also the intrinsic properties of the Sherries, the wines managed to work well with all of the aromas, flavors and textures incorporated in these ingredients. Some pairings were more exciting than others, but were quite effective, and the best were completely convincing. We were off to a good start, but I had yet to undergo anything like a conversion experience. After all, Sherries are famous for being terrific aperitifs, so it did not seem like a huge stretch to use them successfully as accompaniments for light starter courses. However, success with weightier foods appropriate for a main course seemed like a much riskier proposition, and my critical fangs were sharpened and ready for the second round. However, the second savory course provided one revelation after another, with Sherries showing beautifully alongside poached eggs with artichokes, glazed veal sweetbreads, lamb with smoked aubergine, toasted rouguet with ham, spare ribs with melon, and venison with beans and potatoes. I found it very impressive that the different wines could muster enough depth of flavor and breadth of texture to complement the dishes, and that's exactly what they did, again and again. By the time the dessert courses were presented, I confess that I was more a disciple than a critic, and judging was less a matter of checking whether the Sherries would work with the dishes than deciding which would work best. That task was tough enough, as two renditions of Pedro Ximénez, three Cream Sherries and two crafted from Moscatel were all delicious with the desserts. 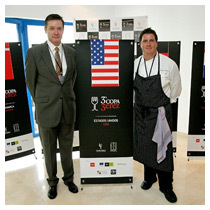 The Danish team of Jakob Mielcke Hansen and Rune Elkjær were voted the Copa Jerez Overall Champions, but the USA was represented in excellent fashion by chef Seamus Mullen and sommelier Roger Kugler, from New York's Boqueria, Suba, and Boqueria Soho. Kugler was voted the Copa's Best Sommelier (and rightly so; his choices and rationales were especially compelling), and a variety of other awards were also bestowed. However, I doubt that anyone involved walked away with anything more prized with what I left with, namely, a new awareness of Sherry's amazing powers as a partner for high-end foods. Hopefully my confessional account will ring true to you, but even if that's the case, you should still strike out on your own to learn how enjoyable Sherry can be at the table. Doing so will open a whole new horizon for you when entertaining at home or dining in restaurants. Toward that end, here are some suggestions for successful food pairings for a range of Sherry types. I've been trying all sorts of different foods with Sherries since January, and will publish reviews of the best wines on WRO during the next couple of months.